Can I move my Master BT Socket - Of course you can. Read on. Can I move my Master BT Socket? This is a question I get asked repeatedly. Can I move my Master BT Socket? Is it legal to move the main socket? There is no law regarding your master BT socket. Just a contract. When it was originally installed, sometimes in such a ridiculous place, you will want to move it. Sometimes the wiring has been installed by the builder or electrician, with no thought to the end users requirements. Who wants a master socket installed behind their front door or on a window sill? As the house owner you can have it where you want it. No one can tell you different, it’s your house. The contract in place is to protect the supplier from bad installation practices, It does not protect you. In regards to the original BT installation, that was to suit the person before you. 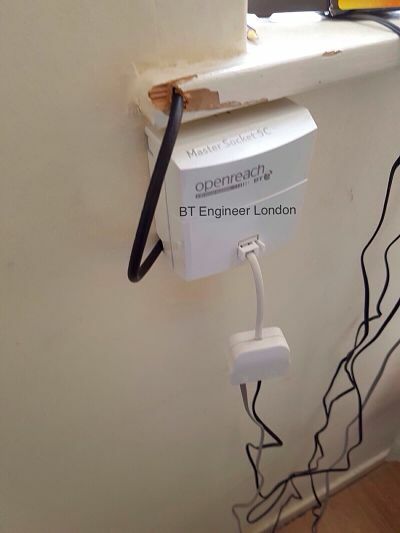 BT Openreach, also do not hide wiring and ugly installations are commonplace. Drilling through door and window frames, wires on show down internal walls. Wires clipped to skirting boards and many more amateur techniques. Want to move your master BT socket as the place it is in presently, does not work for you. This is no problem, as long as the work is competent and does not interfere with your service, causing unnecessary call outs. Who’s going to know? Will it work? There are no records of every wire installed in every house in the UK. As long as it is a competent installation, it will be fine. No, Its scarier crossing a London road. What law is there to break? You are in a contract with certain requirements. 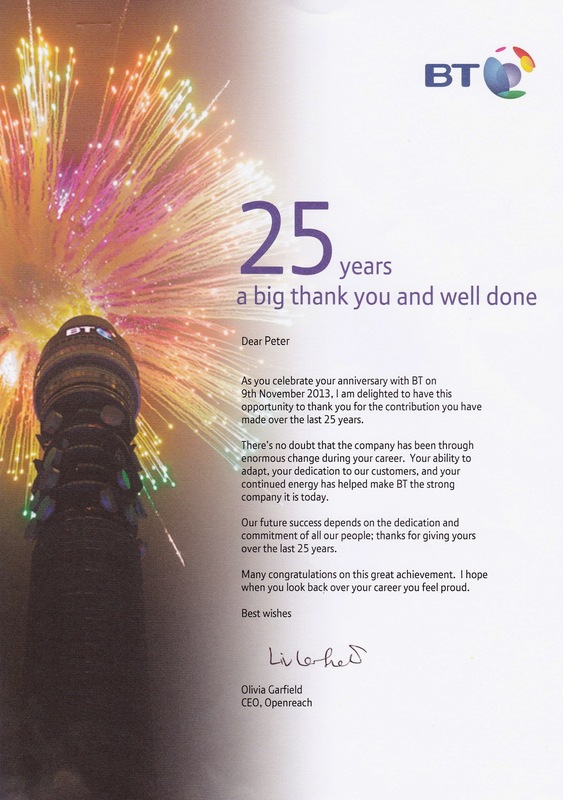 Openreach are not the law, just another large corporation. If the cable comes from overhead, don’t lower its height – attach to it and reroute. I suggest “not really”, the socket is where you want it to be now. You are what matters. It is not a gas or electric meter. You are only bound by a “contract” not the Police. until after an engineer visits your premises. outside the boundary of your premises. boundary line of your premises. Moving the master makes no difference to the contract scenario. You’ll still be responsible regardless of it being moved or not. Here is an installation of a master socket that the home owner was not at all happy about. Would you be? The Openreach employee had no idea of what they was doing, drilling from outside, in to the house. to where it should have been when first installed. Down near the skirting and next to a power socket. A reasonable place and no damage to the property. Instead they quoted £130+vat to replace the socket. Can I move my Master BT Socket? Yes..! I have seen master sockets installed in various strange places. BT engineer London can move any socket to any location you require. If your master socket is in the wrong place, we can move it. 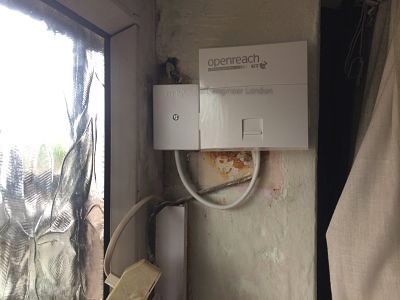 This installation by Openreach shows a situation you don’t have to put up with. “the incoming wire comes through at the top of the window, the master socket needs to go at this point“. This is not the case, you can have the socket anywhere you want within the guidelines set out by your provider, during installation. closer to the front part of the house. Drilled through the wall and installed the socket in a more acceptable location. It now sits by the TV in the lounge. Can I move my Master BT Socket? – Of course you can! Just don’t mess it up…! Or it could cost you. This makes so much sense. Thanks for the write up. It puts it all into perspective. A master BT socket is really a piece of wire with a box on the end. I have since moved mine and couldn’t be happier. The original must have been installed 30 years ago and was completely in the wrong place. Thanks again. I read some comments online regarding this scenario, my master socket was installed by BT a few weeks back, so many said “it’s illegal to touch it”. I cannot believe people listen to such rubbish. Anyway the workmanship by Openreach was so terrible I had no choice other than to do it myself. Great write up. I need to move my master socket (now on windowsill). But the outside supply cable is not long enough to move socket near to skirting. How can I use a new continuous longer length of supply cable? You would need to get some external grade telephone cabling & a waterproof joint to extend it. Better than that if you’re London or Essex bound, give us a call. Hi Bob, my master socket is in the hallway & I also have an extension socket behind my TV but when i connect my router to it, it doesn’t work. Can you kindly advise. Thanks for your enquiry. You may have an SSFP socket in the hallway (Service specific Front Plate). It’s a socket that stops the broadband from continuing down the line. Email a pic of the hallway socket & I can advise. Best regards. Hi, thanks for the quick response. I have a master socket 5C in the hallway. I have taken the pics but was unable to upload them. Hi, sorry I would have no way of knowing how the original cable was put in. It could go either way. When installing a BT master socket to your premise you can generally see the cabling come from outside to in. If you have a “new build” then generally an electrician or builder will run the cabling of which becomes your property. If it is fitted into the wall, you could undo the retaining screws of the telephone socket and see which way the cables run. Thanks for your enquiry. If I am wanting to move my master socket who do I use would it be an electrician? Or someone more specific to phone lines etc? Thank you in advance. Hi Leanne – Why would you use an electrician?? Would you use a gardener makes as much sense? A telephone engineer will be able to test your connection on completion. A telephone engineer will have the correct tools. A telephone engineer will know how to correct any related broadband problems to give you the best speeds possible. An electrician does electrics not communications.